Fr. Stephen J. Fichter, Ph.D. 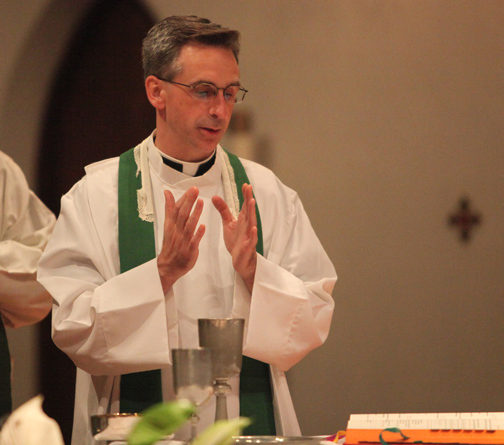 Besides serving as a CARA research associate, Father Stephen is the Pastor of Sacred Heart Parish in Haworth, New Jersey. He obtained a Ph.L. and an S.T.B. from the Pontifical Athenaeum Regina Apostolorum in Rome, an M.S.W. from Fordham University’s Graduate School of Social Service, and an M.A. and a Ph.D. in Sociology from Rutgers University. While studying in Europe for almost twelve years, he learned to speak Spanish and Italian, and held various administrative posts including chief financial officer and vice rector of two seminaries. Following in the footsteps of his well-known granduncle, the Jesuit scholar Joseph Fichter, Stephen’s research interests cover all issues related to the sociology of religion, especially those that focus on clergy. His social work thesis, which described gender differences in stress among Protestant ministers, was published in Research in the Social Scientific Study of Religion. His doctoral dissertation and now his latest book publication, From Celibate Catholic Priests to Married Protestant Ministers: Shepherding in Greener Pastures, examines the causes and consequences of the dual transition of celibate Catholic priests into married Protestant ministry. A summary of his findings can be found online at America magazine. The book will is presently in production (with Lexington Books) and will be available during the summer of 2015. Before joining CARA in 2008. Stephen served as parochial vicar of Saint Gabriel the Archangel Church in Saddle River, New Jersey, and taught undergraduate courses in Philosophy and World Religions at Bergen Community College. More recently, he teaches a graduate course based on the documents of Vatican II for the STEPS Program at Seton Hall University as well as a Ministry of Leadership course for fourth-year seminarians at Immaculate Conception Seminary. At CARA, Father Stephen has specialized in clergy research, placing his sociological skills at the service of the Catholic Church and the American bishops. In coordination with the National Organization for Continuing Education for Roman Catholic Clergy (NOCERCC), he has worked on several Cultivating Unity projects for dioceses throughout the United States. Father Stephen is also the co-author with CARA researchers Mary Gautier and Paul Perl of the book, Same Call, Different Men: The Evolution of the Priesthood since Vatican II, published by Liturgical Press. He is the co-developer of the iTunes app entitled PeaceQuest, a 3-D immersive prayer experience based on Saint Ignatius’s “composition of place” style of meditation.